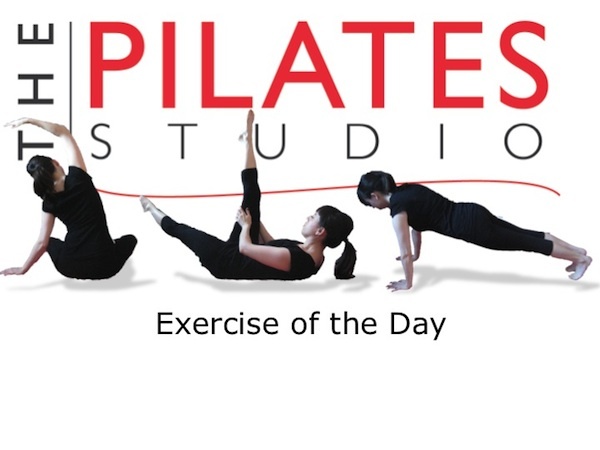 This exercise is intended to challenge the stability of the pelvis by lengthening the lever arm of the moving leg. To do this exercise you will need a mat. Start by lying on your back in a tabletop position. Inhale as you straighten one leg for the ceiling and exhale as you lower that long leg towards the floor. Just before it touches the floor flex your foot and inhale as you lift the leg again. Repeat 5 times on each side. It is very challenging to do this exercise correctly. 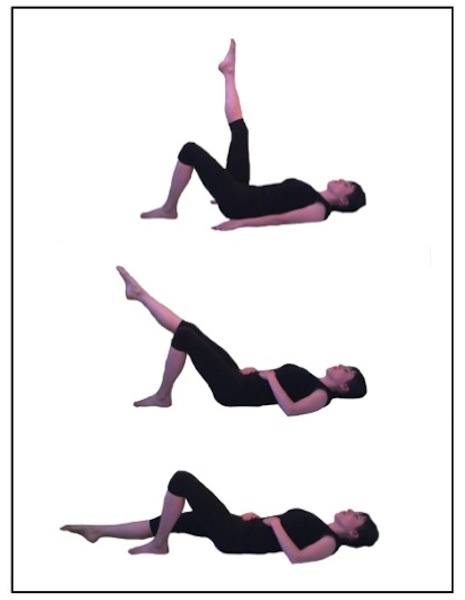 Often when first learning this exercise a person recruits the quadriceps and hip flexors so much that they pull the pelvis into an anterior tilt causing extension in the low back, or distress at the sacro-iliac join. To prevent this it sometimes helps to imagine that the sacrum is glued to the floor. It also helps to bend the knee slightly to create ease in the front of the hips. As always you are imagining the ease in the hip socket as you are moving the bones of the leg.